I finished a heart pixel blanket for my one sister’s birthday present. I really had fun making it, and the nice part of it all was that I only had to buy the white wool. It was a perfect design to use up all that odd colours which weren’t enough for any large project. 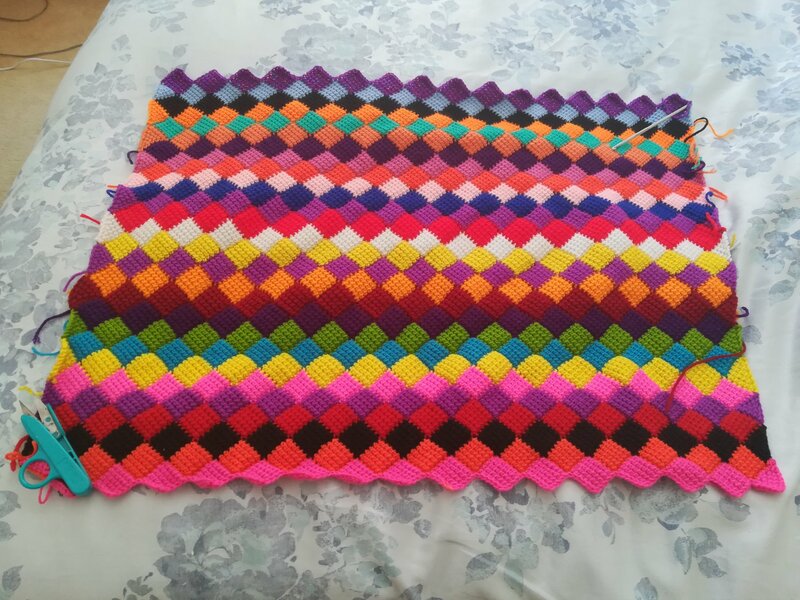 I am needing ideas for my next pixel blanket. I love colour! I love bright colours! 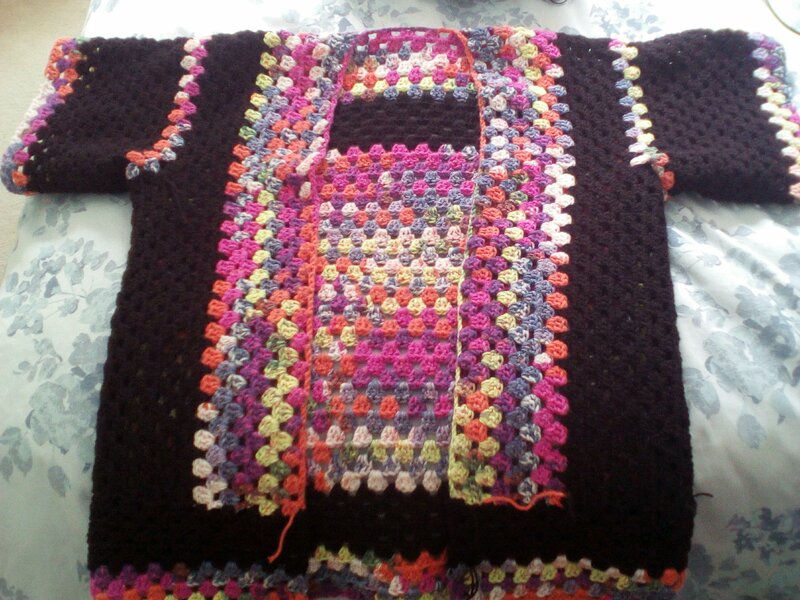 I made the jacket with colour and chocolate brown in granny stitch. Very easy to make. I started with using a pattern, but eventually just made up as I went along. All I have left to do is sew in the little ends. I have a few Facebook pages running and a Facebook group. They are for crafters of any walk in the creative world. Don’t hesitate to have a look and feel free to join. This was a birthday present for my father. As I was busy with the blanket, I wondered if it was a little too young for a 40 something man, but it wasn’t. I had only 3 months in which to make it in and I was amazed at how I managed that. I guess when you have limited time, one can do the impossible with a little motivation. 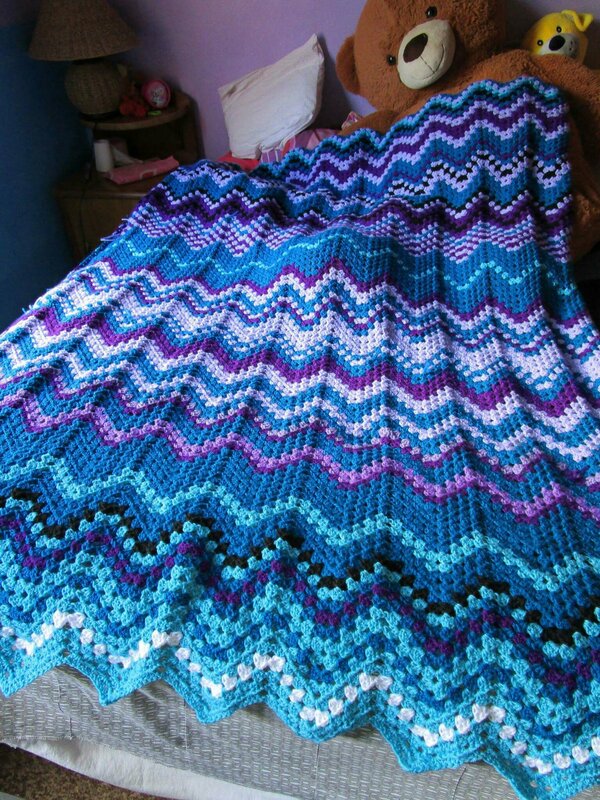 I made over 1530 solid granny squares to complete this blanket and finished size is suitable for a 3/4 bed. This scarf-necklace is very easy to make and so quick. Pattern: 1 ball of 80g wool in colour of choice. Chain 10, sc in chain across, turn, and sc across. Keep sc until the piece measures 4cm from top to bottom. Finish off. With the remaining wool, chain as many chains as you can get, join to the beginning of the starting chain made. Now all you have to do is loop the long chain piece until it is all looped up. It doesn’t have to be equally wound up. 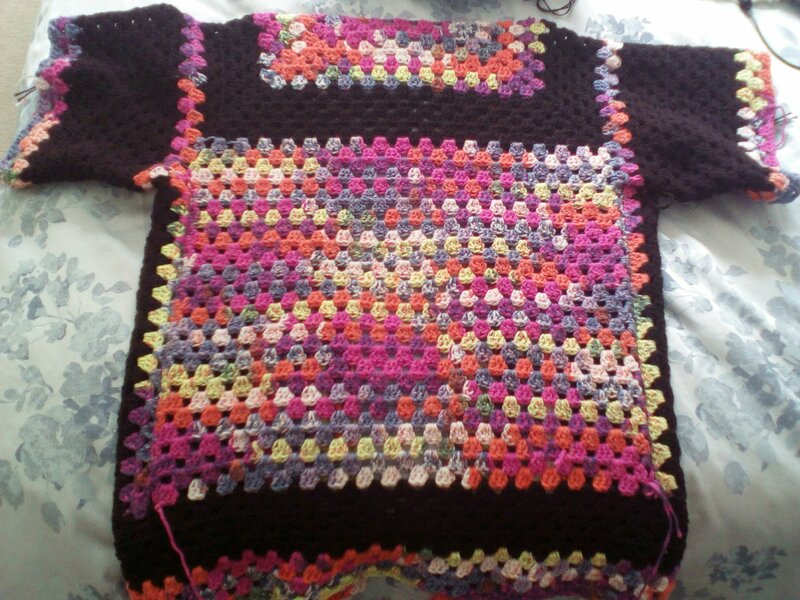 Take the little crocheted piece made at the beginning, the little swatch-like piece, and sew it over the looped chains to hold them all in place and to hide the join of the chains. The tiniest Baby booties ever! I was asked to make the tiniest baby booties ever. They were made for a set of newborn twins…Pretty cute I think. Here is some Barbie outfits that I made. My sisters loved playing with Barbie when they were younger and this gave me the idea to make Barbie clothing. Well it was not an easy task, like I thought it was going to be. The small sizes made it hard to work with, especially when making the shaping sections of the items. I have so much little bits of wool laying around from completed projects and I decided that it was time to use them up and make room for new projects’ supplies.